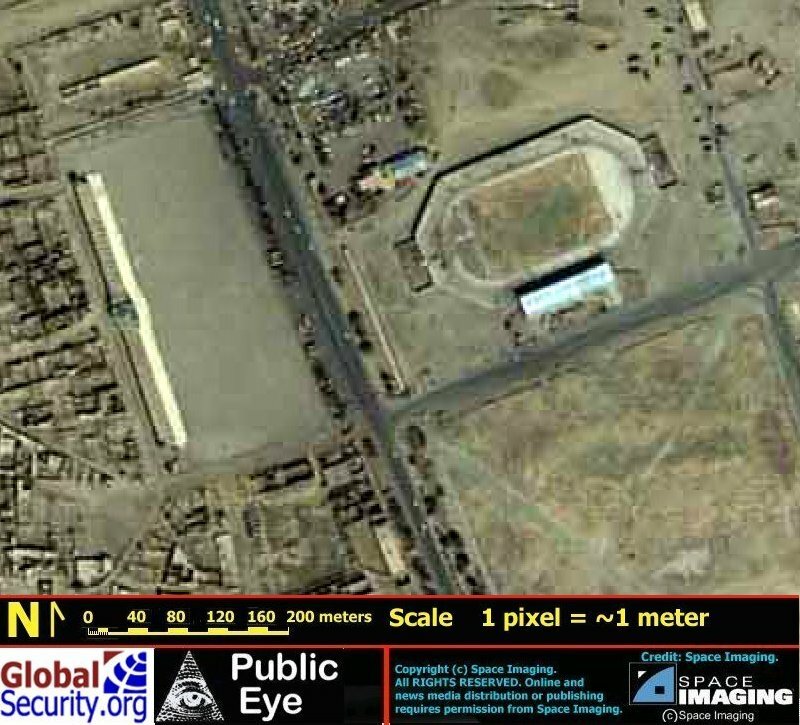 There were almost weekly executions or amputations of criminals in the Kabul Ghazi Sports Stadium before November 1999, such as when a woman was killed for hacking to death her abusive husband. 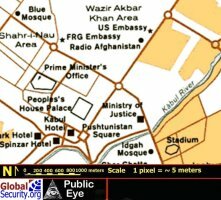 The hiatus in public executions since then was attributed by some to a decline in crime in the capital. 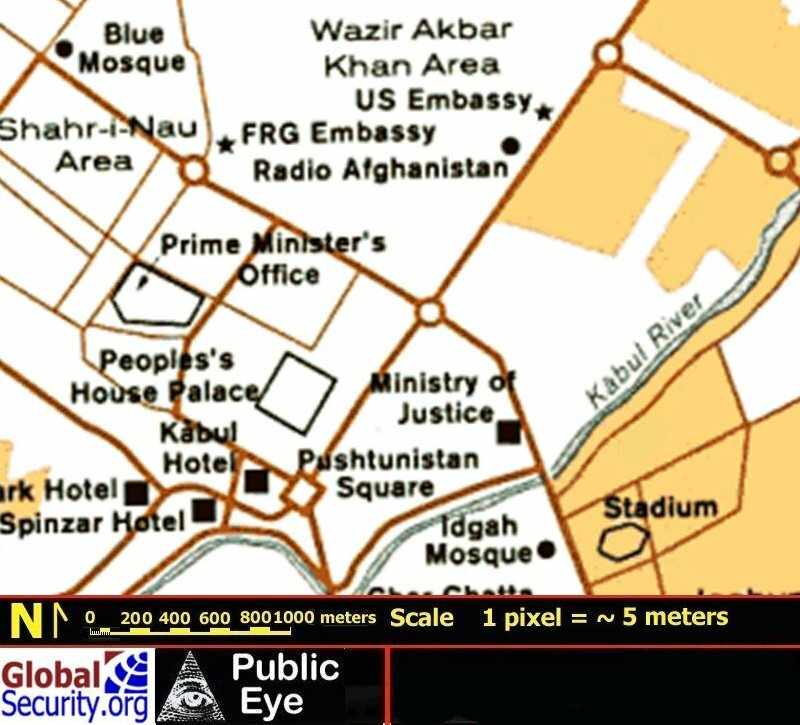 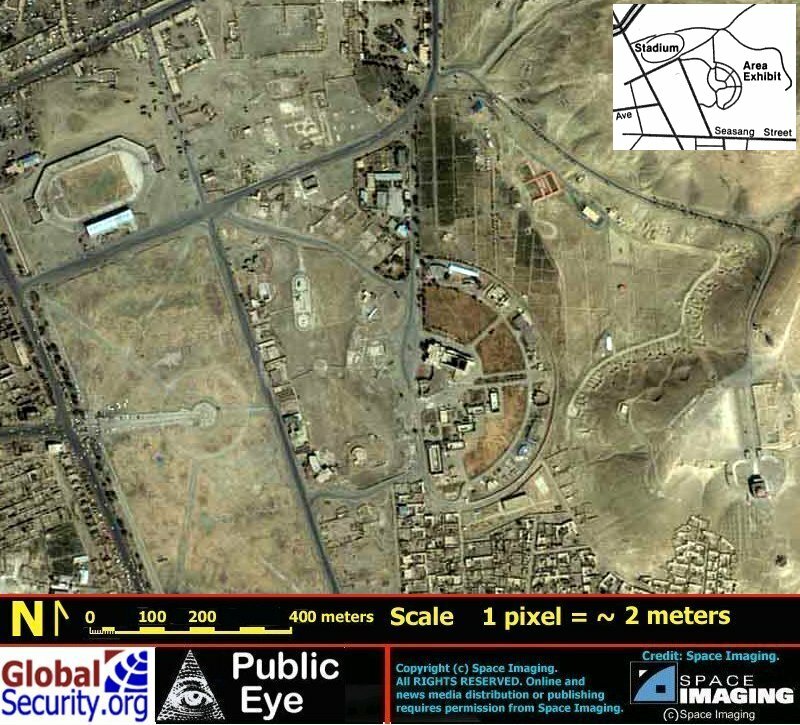 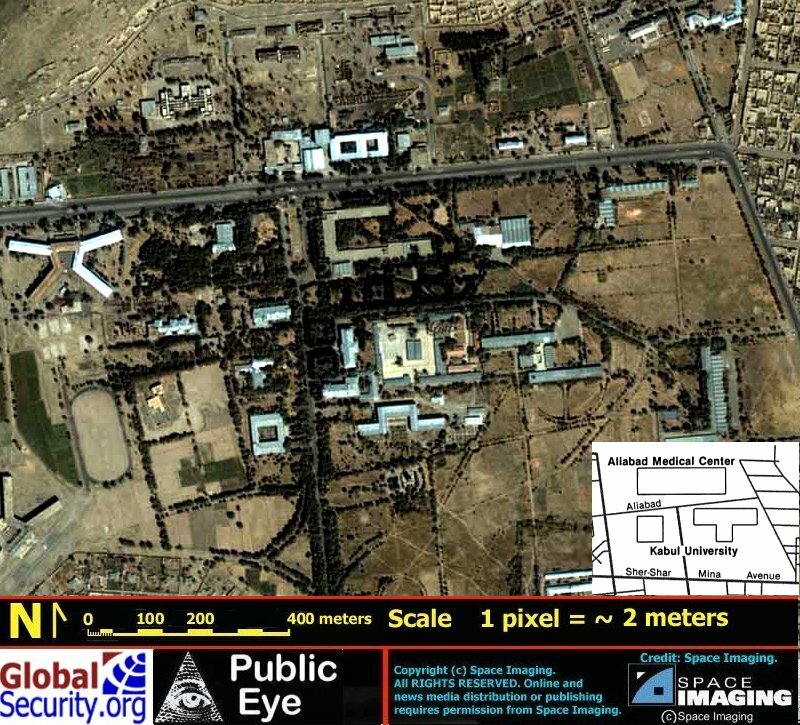 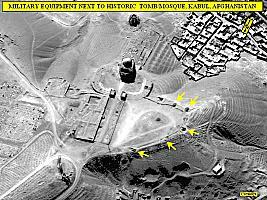 The aerial above was used by the DoD to illustrate the point that the Taliban park tanks and other vehicles near to religious sites and residences. 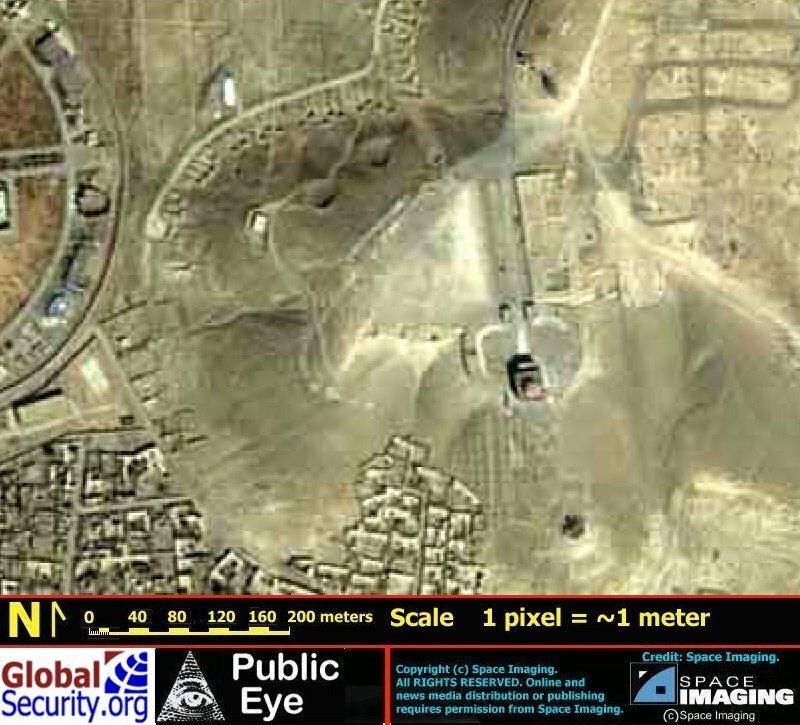 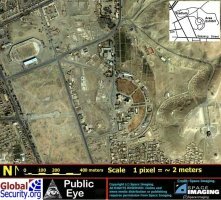 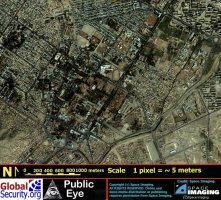 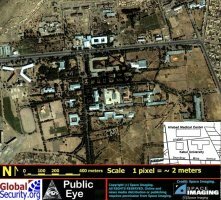 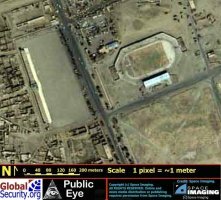 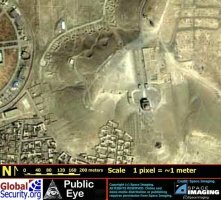 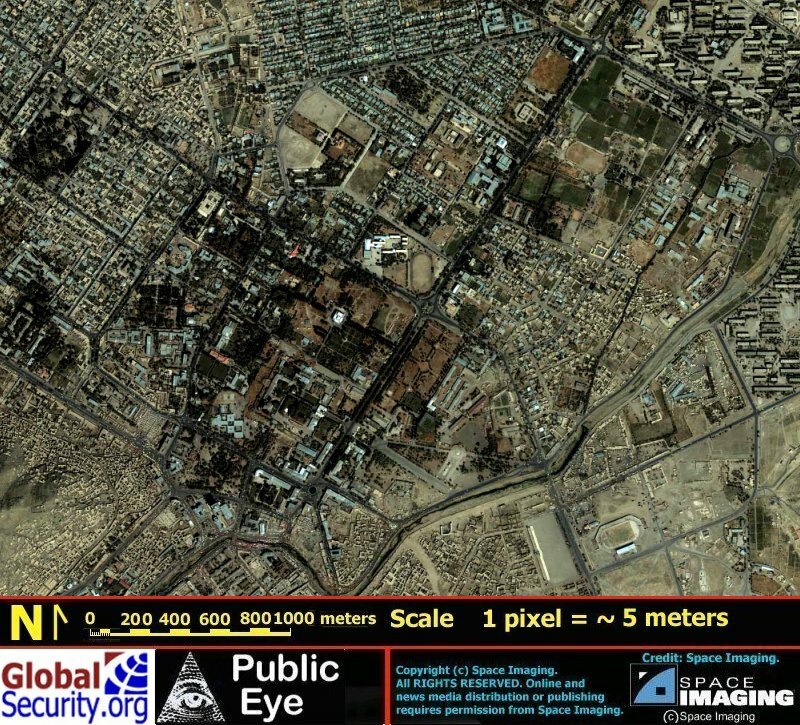 Commercial IKONOS imagery from April 2000 appears to confirm this practice, but indicates that it predates Operation Enduring Freedom.